My life is a bit topsy turvy at the moment. School holidays tend to throw the routine out of the window, I am off on days I am normally working and vice versa, we tend to wake later, weekends and weekdays often don’t seem very different. I am discombobulated! Even though I love the lazy, slightly off piste nature of these six weeks (and two of them are taken off entirely to spend as a family) I also like routine. 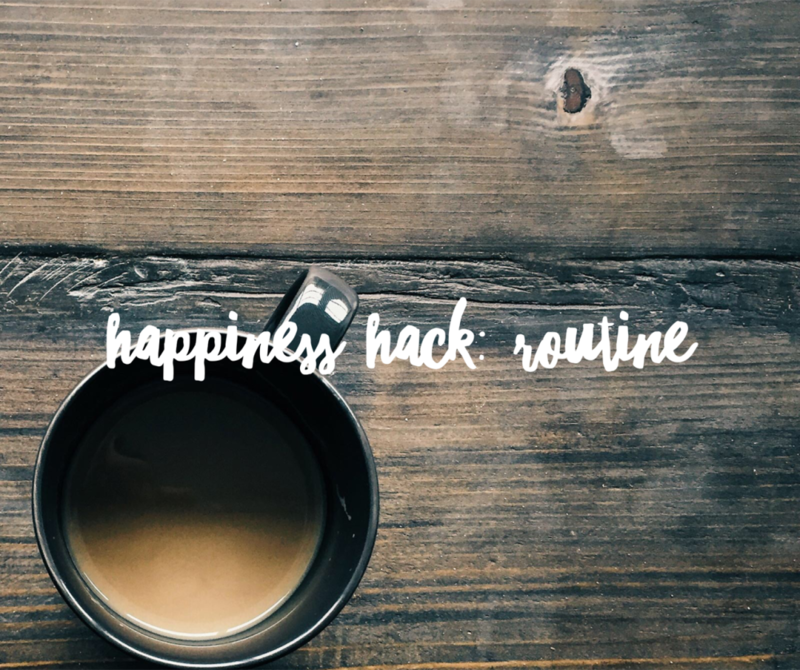 I know, it’s a dirty word to some people but I firmly believe that unless you live a very unstructured life, without many responsibilities, having some routines in place is very helpful when trying to live a simple, happy life. And for those who lack routines precisely because they think they are boring or stifling, to me there’s nothing more boring than wasting time or doing things inefficiently all for the want of one. When you are a bit more planned and purposeful about things, you create more time to do the things that you want. Furthermore, the lack of routine often causes frustrations and distractions and annoyances, none of which contribute to a calm, positive mind which is the most useful tool you have for getting the most from life. I have spoken before about doing things that make your future self happy. It’s so useful to have routines that involve preparing things in advance so that things in the future go more smoothly. Another thing I like to have sorted at the weekend which isn’t getting done at the moment, is sorting everyone’s clothes so that there’s enough of everything, in its right place, to last the week. I do not, I have to say, decide in advance what I am going to wear every day of the week, though that might really work for some people. I also don’t have traditional ‘work wear’ or a uniform, so my week clothes are the same as my weekend clothes, there are just levels of smart/ casual for different occasions. But what I do have sorted by every Sunday evening, is knowing there is enough underwear, leggings, dresses, tops, cardigans and jeans to get through the week, I also make sure all of Jake’s uniform is sorted for school and again all the little things like socks and pants, PE stuff, Beavers uniform etc is clean and stored away where it should be so he can find it easily and with minimal shouting of ‘muumuum’ down the stairs! Some weeks he is messy and all the uniform is used up by Wednesday but at least we started the week well. Oh and remember pyjamas and nightwear too. It’s a simple routine to get into but it makes life so much easier. We’ve all had that morning where we are scrabbling round for clean socks in a pile of clean laundry or the only top that goes with that skirt because all the other are still in the dirty washing pile. I’m a big believer in the thing that how the first hour of your day goes tends to dictate how the rest of the day goes. Once you start rushing and huffing and puffing, once you leave the house late, or without breakfast, or having forgotten the sports kit or the work reports you left on the table, days can just spiral out of control so that by 11am you are already wishing you could pull the duvet over your head and declare the day over. So why not try this out? Just make sure by Sunday evening, all the clothes that you and anyone else you are responsible for need for the week ahead are clean and put away in the right place. And encourage other people old enough to do so (partners, husbands, older children) to do the same.